Click on the edit button next to Daily budget. 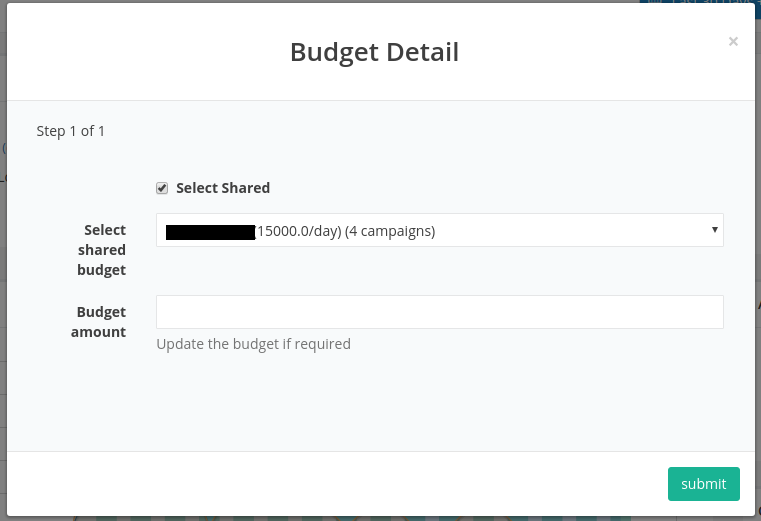 This will open a dialog box where you can set a new budget and click on submit. PS : Budget changes in AdWords or AdNabu will have the same result.